In this guest blog post, Sheryl Cown, Vice President of Programs at CNFA highlights the ways the private sector can catalyse sustainable agriculture and tackle global food security issues. With the world population expected to reach nine billion by 2050, FAO projects that food and feed production will need to increase by 60 percent to meet the world’s food needs. The questions that arise are – Can we meet this growing demand? And can we meet this demand in a sustainable manner without harming our earth’s resources? The answer is – Yes we can. But no single organization or sector can address the problem of hunger on its own. However, it is widely agreed that both public and private investment in developing country agricultural productivity is a top priority. The good news is that modern agricultural policies and practices can increase food production and access using approaches that are efficient, sustainable and profitable. The public sector can create an enabling environment, bringing down the risk for private sector investment. But governments in these regions cannot implement these much needed policies and practices alone. They need the kind of technological and management expertise that drives successful enterprises in the private sector. The private sector can help develop and deliver a reliable stream of technology and resources through responsible and productive investment, enhanced efficiency and a favourable environment for increased agricultural productivity. All of which can lift large numbers of people from hunger and poverty, and increase incomes to allow access to food. Everyone from within agriculture’s private sector—from manufacturers to marketers to farmers themselves—has a role to play in this important effort. NGOs also play a critical role in linking private sector drivers to agricultural productivity and marketing. While the examples that I am about to share are from CNFA because this is where I have first-hand experience, the premise behind this message applies to all agribusiness-focused non-profits and NGOs. In Bangladesh, through the USAID Agro-Inputs Project, CNFA trained and certified to 2500 agrodealers over the past three years. These private-sector input suppliers are providing leadership in educating smallholder farmers on how to select and use the best seeds, fertilizers, crop protection products and other critical inputs to improve soil quality and, reduce negative environmental impact, improve crops and increase food supplies. Partners from the private sector are also aiding communities by planning and investing in infrastructure that improves farm productivity. For example, food storage can significantly reduce the multi-billion-dollar food loss that occurs yearly due to insufficient and inadequate post-harvest storage. In Egypt, through the Feed the Future Egypt Food Security and Agribusiness Support program, CNFA is connecting farmers’ associations in the rural southern regions with AGCO’s GSI brand solar-powered cold storage systems to allow their agricultural products to be exported to other regions of Egypt and eventually to the world market. 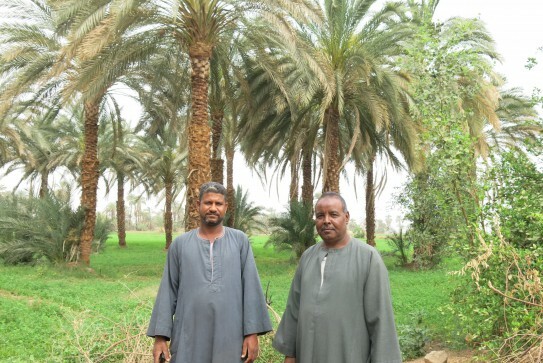 The Feed the Future Egypt Food Security and Agribusiness Support program will increase the incomes of 14,000 smallholder farmers through strengthening sustainable fruit and vegetable value chains for domestic and export markets. Other capabilities that have been fine-tuned in the private sector—such as marketing, processing, distribution and communications are being implemented, reinforcing the ability of smallholders to guarantee their own food and fiber security, earn income, and raise living standards for their families and communities. In Pakistan, in partnership with USAID, CNFA is providing technical assistance and support to processors to bring the end products of meat, fruits and vegetables to international standards, and linking distributors with the global market through international food shows. 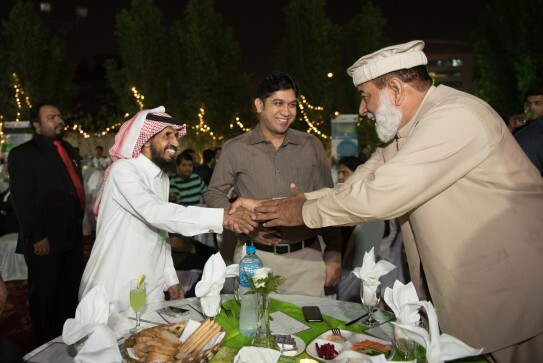 During Gulfood 2016, held in Dubai, the Government of Pakistan hosted a dinner made from these products for 130 potential international buyers, increasing demand for the products and encouraging more production while also resulting in more income for the farmers. The U.S.-Pakistan Partnership for Agricultural Market Development (AMD) project took part of the Vibrant Pakistan exhibition at Gulfood 2016 in Dubai. Despite the progress made, non-profit organizations such as CNFA must continue to facilitate these linkages to ensure that emerging countries can continue to build new, market-based agriculture systems where they are most needed, and provide guidance to governments in retooling their agricultural policies to support workable and sustainable solutions. With high technological development, low trade and investment barriers, and the internalization of many environmental externalities in the global North, private investment transforms developing country agriculture through intensification, dramatically increasing production. The result is high global per capita calorie availability, with a decrease in child hunger. The time to drive steady and sustainable growth in agriculture is now.